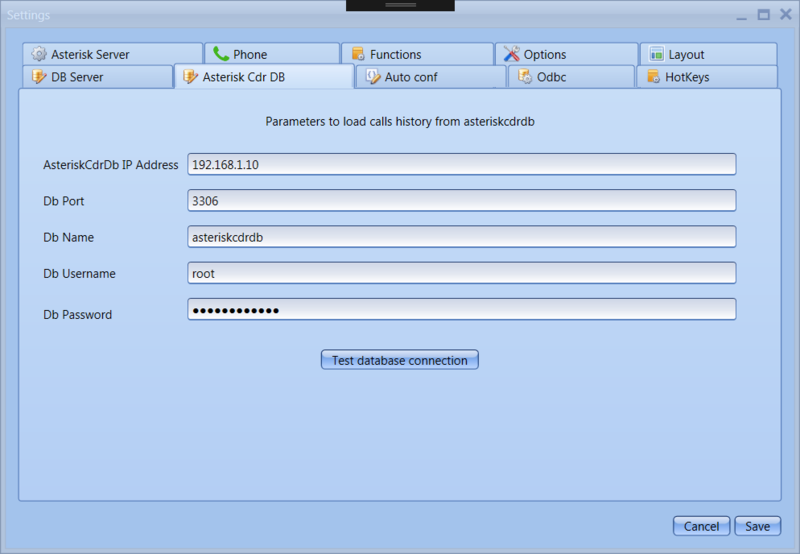 Connection to the Asterisk CDR database to view calls history log. 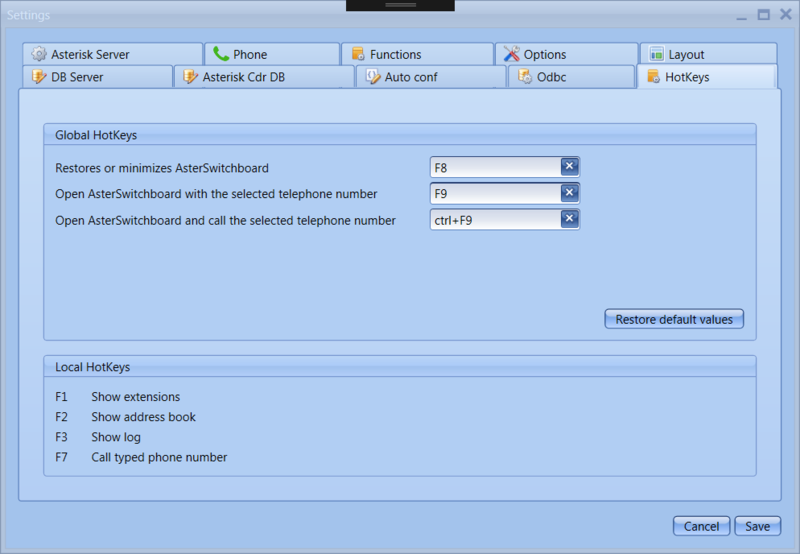 This log displays the history of all calls regardless of whether AsterSwitchboard is active or not at the time of call. 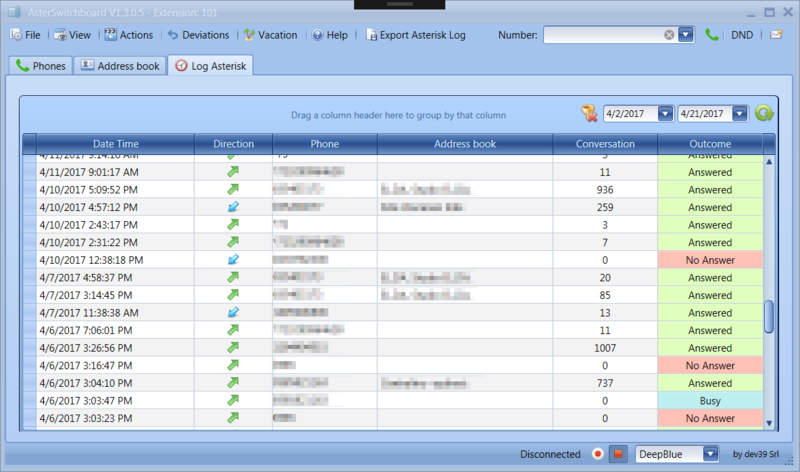 It is also displayed call outcome and duration in seconds. Shortcut F8 key to view and hide AsterSwitchboard. 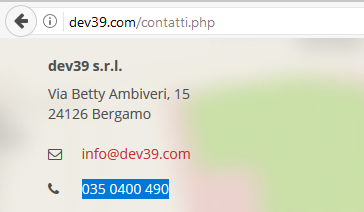 Option to immediately call the selected phone number from any application (for example, from an internet page, text documents, etc.) with CTRL + F9 key. 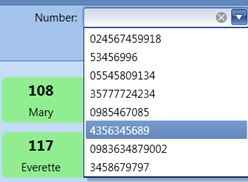 Option to to capture the selected phone number with F9 key. 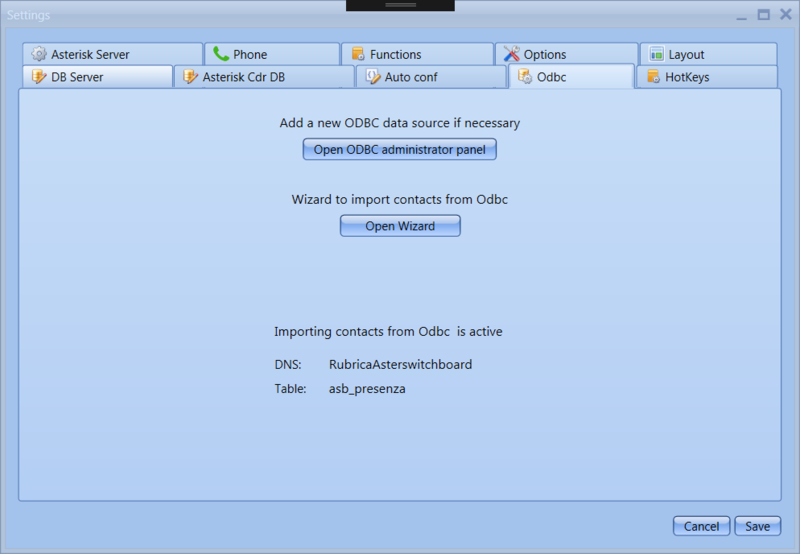 Now it is also possible to upload a shared address book via ODBC. The historian of the last 20 calls is kept. So they can be selected from the drop-down menu. On incoming call notification pop-up added a button with a image to open an external application with the caller’s number as parameter. 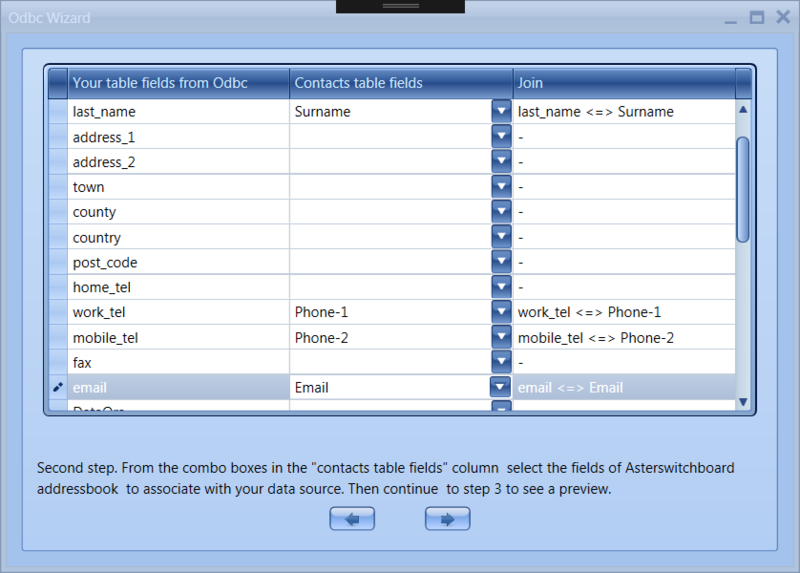 Added refresh button in contact tab to force reloading shared addressbooks contacts from via MySQL and / or ODBC.